March 23, 2016 – Scientists will use the vantage point of space to learn more about the composition and behavior of meteors and their parent bodies. The Meteor Composition Determination (Meteor) investigation, which launched yesterday on Orbital ATK’s fifth commercial resupply flight, will help scientists better understand the asteroids and comets crossing Earth’s orbit and how these celestial objects have affected our planet. It could also help protect spacecraft and Earth from potential collisions with celestial debris. 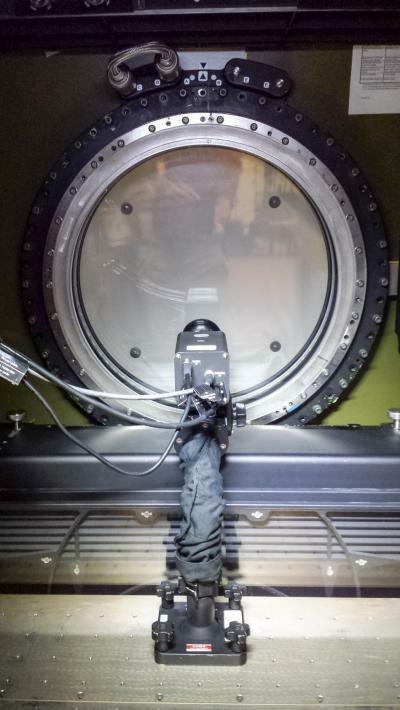 Meteor will use a special camera installed in the International Space Station’s Window Observational Research Facility (WORF) to record predictable showers. The camera is scheduled to record all 12 known major showers. Secondary targets include minor meteor showers and periods with little or no identified regular activity. Observation of de-orbiting spacecraft and other targets also will be made over the two-year period. Space-based viewing of meteor showers offers many advantages over traditional observation by ground- or aircraft-based instruments. Viewing from the station is not affected by weather or interference from Earth’s atmosphere, and although instruments on Earth are limited to short periods of observation time, the camera aboard the ISS will record for roughly 560 minutes every day – the amount of time the station is in darkness as it orbits Earth 16 times a day. Partners in the Meteor investigation included the Center for the Advancement of Science in Space (CASIS), Southwest Research Institute (SwRI) and Japan’s Planetary Exploration Research Center (PERC) at Chiba Institute of Technology. Michael Fortenberry of SwRI is the principal investigator. Meteor will arrive at the ISS on Saturday, March 26, and will be installed by the space station crew in April. The camera will then be used to observe a few small meteor showers for calibration before it records the Perseids on August 12. The Meteor system is designed to operate mostly on its own. Fortenberry explained that the crew will only need to adjust the lens focus and change out hard drives that store high-resolution video collected by the camera. A software program will identify and separate video clips that likely include meteors, and those will be further analyzed on the ground. Scientists can use these images to glean information such as the size of a particle of meteoric dust based on its flight path and light curve. Meteors are created by the disintegration of comets or asteroids orbiting the sun. Those that enter Earth’s atmosphere heat and burn, causing the visible streak we see during a shower. 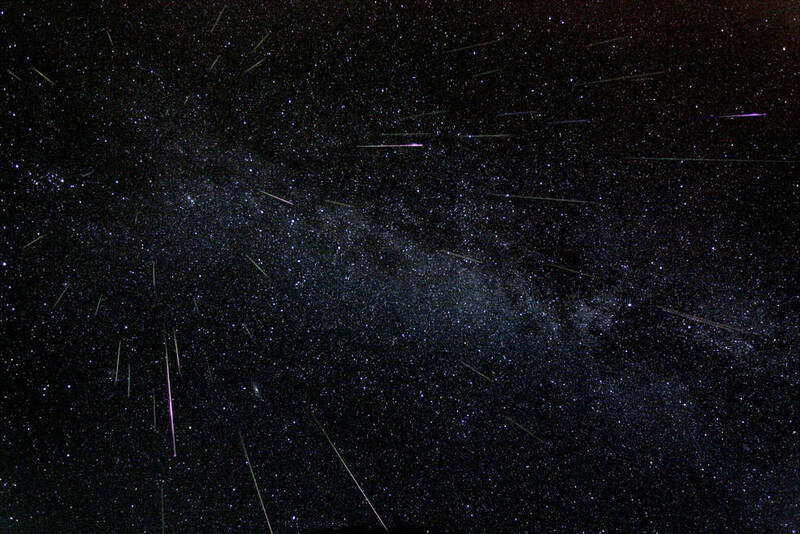 Although the exact number of meteors entering the atmosphere varies during each event, some major showers can produce a peak of more than 100 visible meteors per hour. Some meteor-producing bodies have the potential to create meteors so large that they do not burn up completely on their trip through Earth’s atmosphere and actually strike the surface. This investigation will collect much more data than was previously possible about what already hits our planet. Beyond identifying meteors and monitoring their activity, the system has the additional capability to help classify the chemical composition of meteors. A device on the camera called a diffraction grating separates light passing through it into different wavelengths or colors, known as spectra, just as a prism does. The device will record spectra of light emitted for specific meteoroids or meteor dust. This data will be correlated with information from other sensors and analysis to determine how many meteors are entering the atmosphere and their characteristics. All of this data will help scientists better understand which parent bodies might create meteors that pose a threat to Earth. 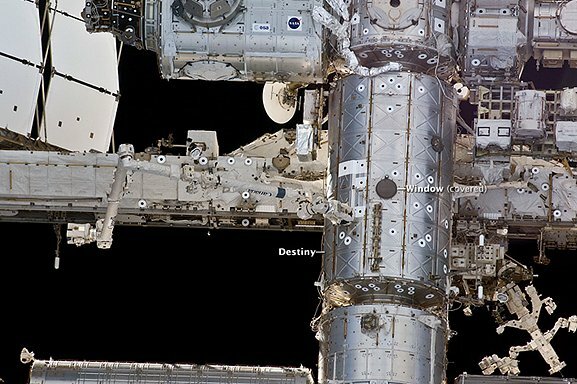 In addition, data on orbital debris, both natural and man-made, can be used to time and position spacecraft to keep them safe from collisions in space. The Meteor investigation adds to other monitoring of meteors on orbit, such as through Crew Earth Observations (CEO). Tuesday’s launch was the third attempt to send Meteor to the International Space Station. The first instrument was destroyed on the launchpad in the Antares rocket failure in October 2014. The flight spare was destroyed in the Falcon 9 failure shortly after takeoff in June 2015.